Previously, Kotaku reported that Japan is getting a Hello Kitty bullet train. All we saw was the outside. Now, we get concept art showing what inside the train looks like. The train will begin service between Osaka and Hakata on June 30. The train’s first car is called “Hello! Plaza!” and features a Hello Kitty shop, selling cute merchandise. The second car is the “Kawaii! Room” and features a photo spot, as well as Hello Kitty themed seats. 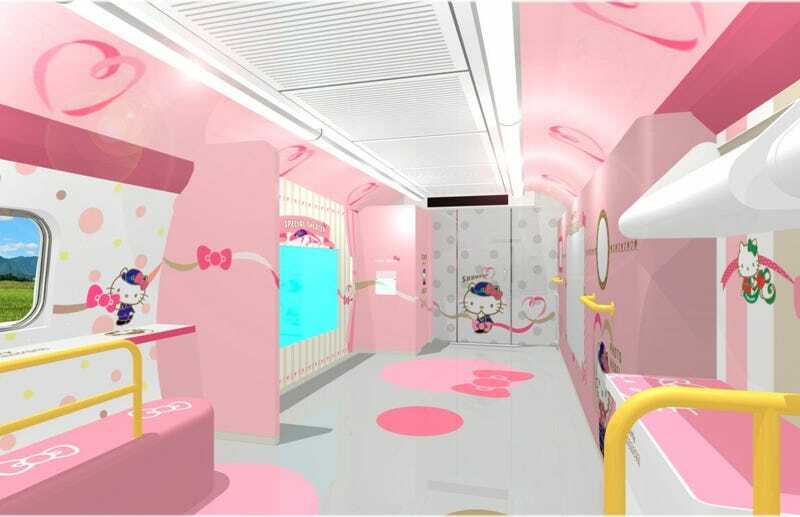 The Hello Kitty bullet train will run until September 30.